I’m not going to tell you that BOTOX® feels pleasant. I’m also not going to tell you that it’s so painful that clients don’t come back for more. But what I am going to tell you is what my clients have told me about how it feels to them. I hope this information will help you to make a decision that you feel comfortable with when considering BOTOX. People who have never had this treatment usually ask me right away, “How bad does it hurt?” They imagine the needle going into their face and think, “Now, that has got to be terrible.” They truth is that it depends on your level of pain tolerance. So, yes it feels painful to some people. What kind of pain are we talking about? Nothing more than a pinch, really. Some clients describe it as getting a shot at the doctor’s office, but it’s much quicker than that. Other clients say that getting their wrinkle injections are less painful than getting their eyebrows waxed. If you’ve ever had your brows waxed, then you know you can handle BOTOX. What Do You Feel Afterwards? Most people feel nothing. They move on with their day as usual. As for others, some clients report mild discomfort where the treatment was placed, such as in the forehead. From what I’ve been told, however, it’s nothing unbearable. It’s important that botulinum toxinA recipients don’t wash their face with anything that has harsh chemicals in it for a couple of days afterward. It’s also not a good idea to go out in direct sunlight during that time. These two activities can lead to an uncomfortable skin reaction in certain individuals. Most people report that the second time is easier than the first. They know what to expect, so their stress level isn’t so high. For this reason, they usually tell me they feel less pinching during subsequent injections. Stress can cause you to feel more pain, according to research. It makes sense, then, that the second time and thereafter many people report not feeling much discomfort. Free consultations are available if you would like to discuss your options when it comes to BOTOX and fillers. 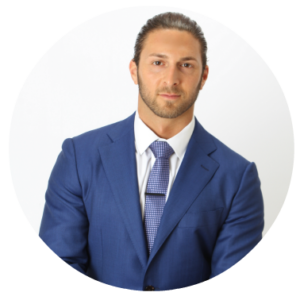 Simply call me – James Christian Sardelli, RPA-C, during normal business hours at 1-844-iBOTOX-Now. You can also call or text us on our 24/7 Cosmetic Concierge line at 917-860-3113. James Christian Cosmetics serves the Nassau and Suffolk County areas of Long Island and beyond. This includes Islip, West Sayville, Westhampton Beach, Commack, Manhattan, Rockville Centre, Farmingdale, and Babylon Village, NY.